I have been on a real toast kick lately. Yeah, I know. I think it's a weird craze too. I have always been a breakfast person though. I never skip breakfast for two reasons. 1. I always wake up hungry, without fail. 2. It is healthy for you! 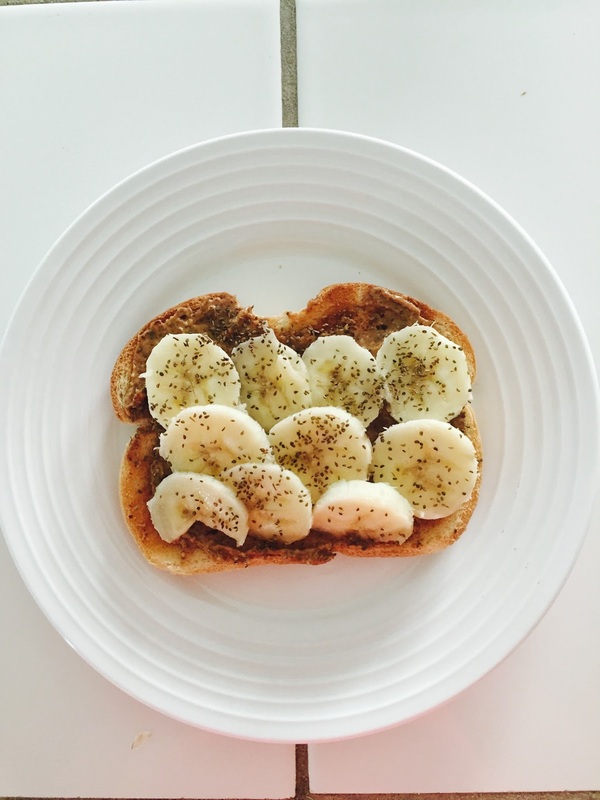 Breakfast is the kick start of your day! Give your body a boost of energy by implementing multiple food groups in your first meal of the day. Don't get me wrong; I love waffles just as much as the next person but sometimes you don't have the time to treat yourself to a fantastic breakfast. 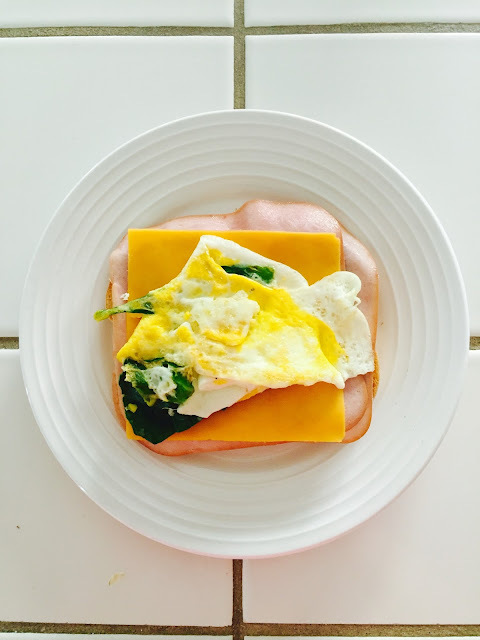 My workday starts at 8:00 a.m. and if I'm lucky I'm up by 6:40 a.m. That does not leave me a lot of extra time to cook myself a meal. I could not hit the snooze button as many times as I do but that is another battle I'm dealing with. Allow me to introduce ENERGY TOAST. It is a slice of toast with various toppings from different food groups to provide optimal energy levels to get your day started! 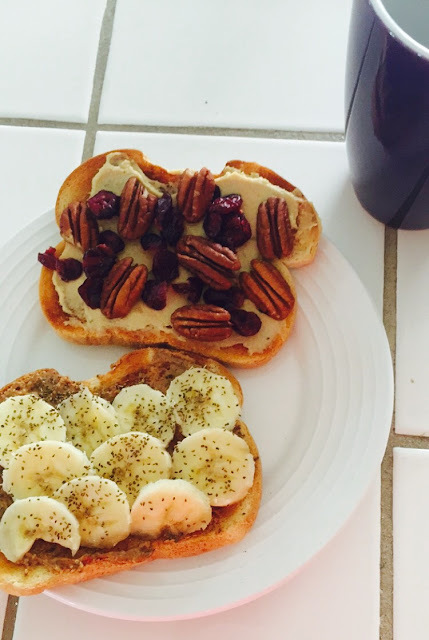 Energy toast is an easy breakfast you can make in a matter of 3-5 minutes, eat on the go and still give you unlimited options. White, wheat, rye, sourdough, Ezekiel, or even pita bread are all possibilities to start. Of course, you are not limited to these options. Pick whatever is in your cabinet or go out and splurge on all different bread choices. Fruit, nuts, seasonings, veggies, meats, and fish. This is like designing your pizza. Chia seeds have so many nutritional benefits. I cannot have almond butter, but peanut butter is a good alternative. You are still getting that protein. Get natural peanut butter for an added health bonus! Oh, and bananas are delicious in its self. I know. It is a bizarre combination. It is a different flavor than what you are probably used to, but it is not bad. Try different flavors of hummus too! 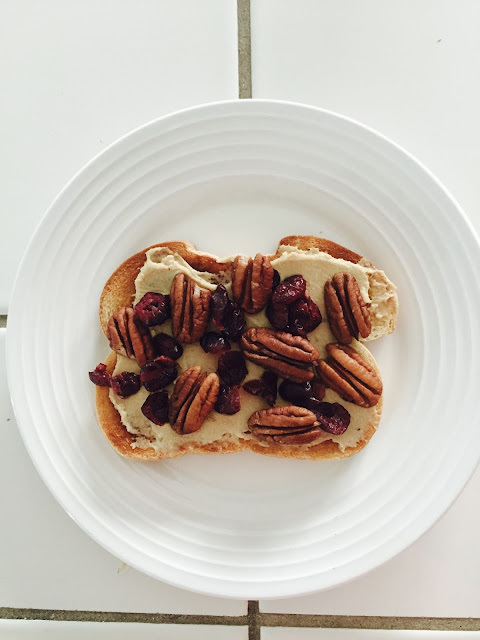 Cranberries are an excellent alternative to pomegranate and walnuts are a nice compliment to pecans. Use the ingredients you have in your house, get creative with it. Depending on the day I might just use egg whites. You can fry the egg, scramble it, or cook it over medium. Customizable! Mozzarella is a decent cheese choice if cheddar doesn't fit your fancy. Sometimes I smash up chickpeas and add those if I am looking for something a little more filling.